An artist based on the Parley Court Estate in Dorset has been selected to show his work at the prestigious International Sculpture Festival. Andy Hopper will join some of the world’s biggest names in the sculptural field at the event which is being held on the Channel Island of Guernsey. It will be opened by the innovative garden creator, the Duchess of Northumberland. Last year Andy moved onto the Parley estate that is home to the golf centre that has a new course and café-bar which is open to the public. Since then his pieces have become increasingly popular and he has been made a Fellow for life of the Worshipful Company of Blacksmiths – one of just 60. 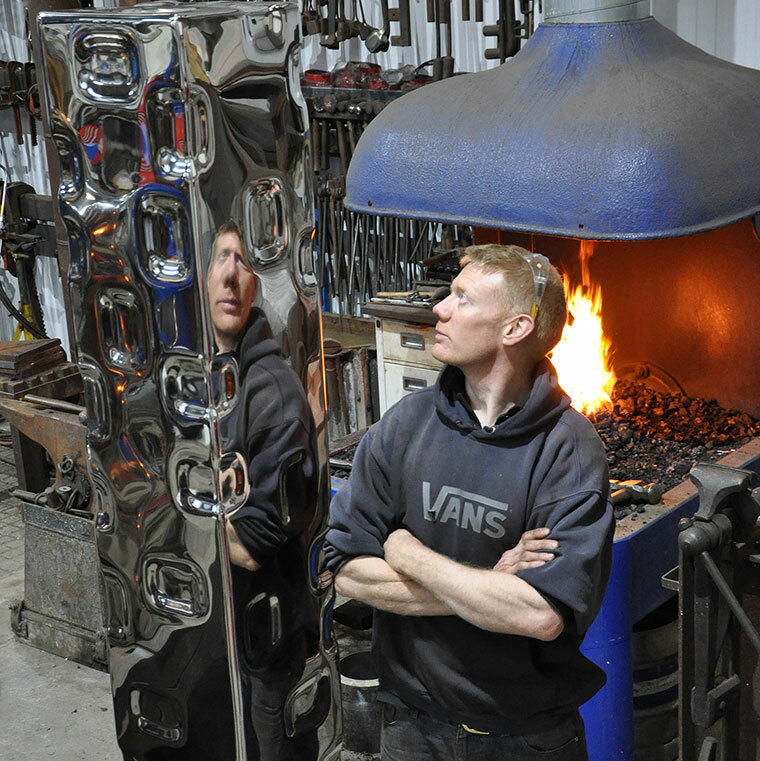 His eye-catching sculptures – including ‘Interstellar’, a 7.5ft high stainless steel column – led to him being chosen to take part in the festival. There will be 120 pieces displayed from 17 May to the end of October, with international collectors attending. Andy, a trained blacksmith, said, “Originally, I started as a fine artist, but I very naturally fell into forging; my grandfather used to be a blacksmith. I have now come full circle – I make art with all my forging skills. The festival is being held at Sausmarez Manor in St Martin on Guernsey.